I remember watching Jaws way back in 1990's and the movie scar me for a very long time. Some images of the sharks and the image of muddy water in Sarawak plus the stories about Bujang Senang was enough to keep me away from the river. I will never do this! 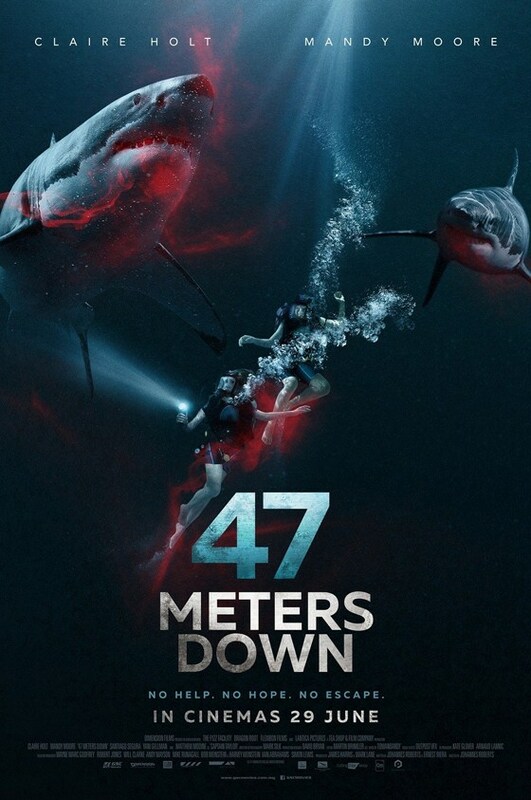 And then comes 47 Meters Down - with its marvellous trailer that got me really excited about the movie. Lisa and Kate were vacationing in Mexico when Lisa mentioned that her boyfriend dumped her for being 'too boring'. In her bid to liven her sister's mood, Kate brought Lisa to a party by the beach where they met Javier and Louis. The couples danced until the early morning. Peekaboo - I see you, my dinner! The boys told the girls about their cage diving experience and watching great white sharks and the story got Kate really excited. After many coaxing sessions and the fact that Lisa wants to prove to her ex-boyfriend that she is not boring, the girls agreed to go cage diving. Upon seeing the old ship that Captain Taylor was showing them, Lisa was still a bit apprehensive but Kate managed to persuade her to go on with the trip. The boys went first and emerged gleefully - happy after seeing the sharks up close. This does not suit you - it makes you fat! The girls went in - also happy to see the sharks swimming so close to their cage. When it was time to reel the cage in, the cable broke off and the cage went straight to the bottom of the sea level at 47 meters deep. 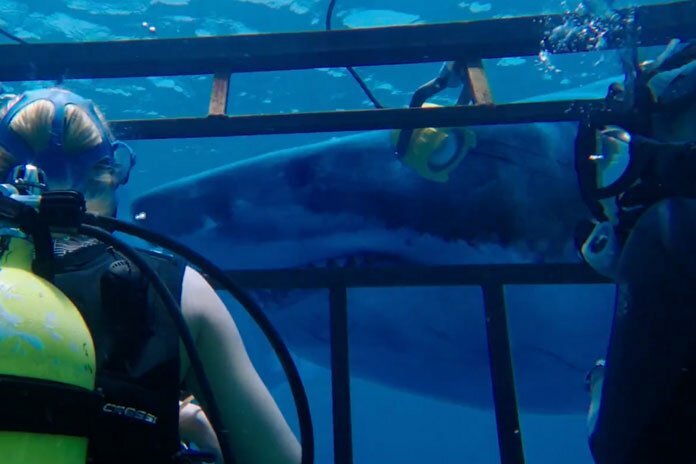 Being Kate was the only one who knows about diving procedures, the duo was up to their necks with troubles - their tanks, the cages and not forgetting the sharks around the dark water. Let me inside, I don't want to be dinner! Will the duo be safe? Plot: 4.2/ 5.0. I love the first quarter of the movie - Lisa being forced into diving because she wanted to prove to the world that she was not as boring as her ex- boyfriend think. I love how the duo communicated and make the best of their situations to survive the ordeal. But I think there should be more action - I want more sharks, blood etc. Haha. Cast: 4.5/ 5.0. No complaints about the cast - everyone did the characters justice. Will I watch it again: I probably will but it has to be with some great friends. Hehe. Since you gave it a good review, then I will watch it. Anything under the sea, is exciting! Tell your heart to be prepared for the actions ok.
Oh my god... this is a horror movie. I can just see my water phobia increasing a few notches! Thanks for the review! Was wondering if I should watch the movie and now I know! Cage diving is dangerous. But I do love to try 1 day hehhe . Your review make me tempting to watch the movie this weekend. Ehh cerita ni sama dengan filem In The Deep kan? Filem ni tahun 2014 dah ada. Maybe masuk pawagam di Malaysia lama kot? Well cerita shark ni memang berdebar. Tapi suka tonton The Shallow lakonan Blake Lively. 47 Meters Down lakonan Mandy Moore acaner? Best tak? Watched this movie with boyfie and I love it! I think Cate drag her sister down. Your review left me hanging there now in dying to watch the movie, shall drag my husband to the cinema. I love the movie Jaws so I think I'm going to like this one too. I'm going to watch with my hubby. Love theater sound effect. Thanks for sharing the review! Yes, it was all Kate's idea right. Am not gonna do cage diving, no matter what people say. Hahaha... penakut walaupun ada lesen menyelam. Not gonna do it! Not me! Being a scuba diver myself, I can foresee there will some "hilarious" scene which is impossible to happen I would say, but I will watch it after reading your review. Thanks. I watched the trailer twice and got scared every time. haha. I am so gonna watch this movie! Thanks for sharing your review. Oh my god! Really want to watch this movie. The trailer was quite intense though. 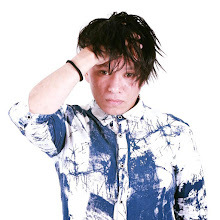 and the casts are also good, kan? fuh!